Introduction: How exciting it is to uncover news of a brand new company entering the tackle industry. Even more thrilling is having a chance to sit down and talk to the CEO of such a venture. 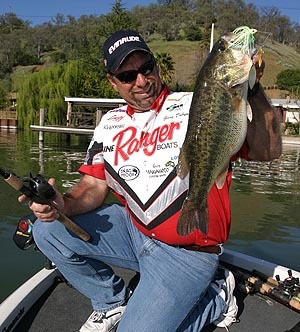 Gary Dobyns is an icon in the Western Bass circuit. His career achievements include 2004 W.O.N. 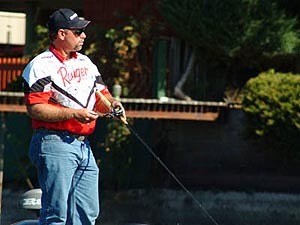 BASS Angler of the Year and over 50 first place tournament finishes. He is the all time leading money winner in the Western United States and has now set his sights on the manufacturing side of the fishing industry with the formation of a new rod company, Dobyns Rods. With the anticipation of his product reaching a fever pitch, we asked Gary if he�d mind sitting down with us to give you, our readers, the inside scoop on what he has planned. Cal: First off, thanks Gary, for taking the time to talk to us and let our readers in on your exciting new venture. Tell me, with all your years of tournament experience and success, what made you want to venture into the product business, and why fishing rods versus lures or something else? G.Dobyns: I've been fishing tournaments for over 20 years and as you might expect, I've become very picky in my choice of rods. I've never been able to find what I want from any one manufacturer and to be honest, there are a lot of companies out there that make rods that I flat out do not like. As a result, I've had to rely a great deal on custom rods to find and build what I really want. So to answer your question, it's really quite natural for me to move in this direction because I personally feel the need is there to do some things and offer some products that are not out there right now. Cal: In developing your product line, did you have a price point in mind? And if so, how were the designs of your sticks influenced by your target price point? G.Dobyns: Yes, I really want to keep the price point for these rods somewhere between $170 to $180 give or take a few dollars. I think this is the price point most fishermen seeking a quality rod are most comfortable with. While the design of the sticks have not been compromised to meet this price point, what I did have to do was move production of these rods overseas. If I didn't do this, the price on all the rods would be a heck of a lot more and I didn't feel that would be the right thing to do. Cal: It's understandable, in order to keep prices in line, that you've decided to move manufacturing of your rods to overseas. In fact, there seems to be a growing trend not only within the fishing industry, but industries across the board, to leverage lower cost manufacturing solutions such as this in order to keep prices reasonable and competitive. Despite this fact, there is the continuing stigma that a product made overseas is inferior to something built Stateside. What's your comment to this mindset? G.Dobyns: You know, I get asked this question a lot. I personally do not have a problem with products made overseas and I don't feel the majority of fishermen do either. In fact, I've seen some products from companies like Daiwa, who are making rods overseas as well, that are really above and beyond anything being made here in the States in terms of weight, balance, and detailing. I haven't fished any of these rods and have only held them in hand, but some of the work is really amazing. I've also seen rods supposedly built here in the States that were flat out terrible, so you can have good and bad on both sides of the ocean. More and more companies are moving production overseas and virtually all of them have something made over there. Bottom line is, I flat out cannot make the rods I want in the States and keep the prices competitive, so my concentration has been to find a place that can build them to my standards, meet my demands, and take it from there. Cal: You've had a vested interest and have been sponsored by some of today's more popular rod companies. What have you taken from your experience with these companies that you've tried to incorporate in your own business? G.Dobyns: It's no secret that I've had a very long and good relationship with both G.Loomis and Lamiglas. When I think of American rod companies, they're the first that come to mind and what I really respect from them, having seen it all from the inside, is the way they take care of warranty issues, keep in constant communication with their retailers, and flat out build a product that is both superior and in demand. Don't forget, Loomis as a company, has only been around since the early 1980's, so they did all this, built their reputation and demand up very, very quickly. You don't do that with an inferior product or warranty, and you don't do that if you don't keep your retailers happy. Cal: In the same respect, what have you taken from your past experience and made sure you addressed from a "this is what we're NOT going to do" perspective? G.Dobyns: Well, I can tell you what we aren't going to do and that's fall down on warranty issues. These absolutely have to be met head on. We are also not going to be of the mindset where we think we know everything in terms of what every fishermen needs. That's definitely not going to happen. There are going to be holes in my lineup, but hopefully, we'll have a large enough assortment of rods to fit a wide range of anglers. If there's something we don't have, we will seriously consider supporting that technique in the near future. There has to be some give and take there and we are in no way assuming we can cover it all at the very beginning. Heck, I'm not even sure we can cover it all ever, but I'm going to do my best to cover a broad range of the most popular techniques and take it from there. Next Section: Finding out more about "Dobyns Rods"